I wish I had discovered the Ocean at the End of the Lane in late childhood, early adolescence, rather than just assuming I wouldn’t enjoy these books. I do. I would have adored them then. I would have been holding court in the playground, insisting that everyone park their butts and let me read to them at break. Forty years ago, a man committed suicide at the end of the lane. Forty years later, a middle-aged man finds himself returning to his old home, his old lane, and remembering the events that happened on the mysterious farm at the end of the lane, where a pond is an ocean and the barriers between worlds are gossamer. It’s about childhood, and what makes us human. It’s exploring a world Before, and how those beings interact with humanity, where they may think they’re helping but they’re causing pain instead. What is it to be evil or not? And at what point do our childhood acceptance of what is logical fade into forgetting the magic and mystery of the world. How do some actions light the touchpaper, cause and effects darker than anything you could have anticipated before the story starts. The Ocean at the End of the Lane was peculiar, and insightful, and dark, with mysterious Lettie Haverstock promising to keep him safe in the impeding darkness. The magic, mystery and old beyond their years, hiding in stories and in plain sight. It’s strange, it’s frightening, it’s peculiar. It’s my cup of tea, and then a slice of chocolate cake as well. It’s also not that long, I think 181 pages? It took me less than two hours to read and I slept incredibly well that night, my imagination sparked like lighting the touchpaper! I get the feeling I will recommend most, if not all Neil Gaimain now, especially these short stories! 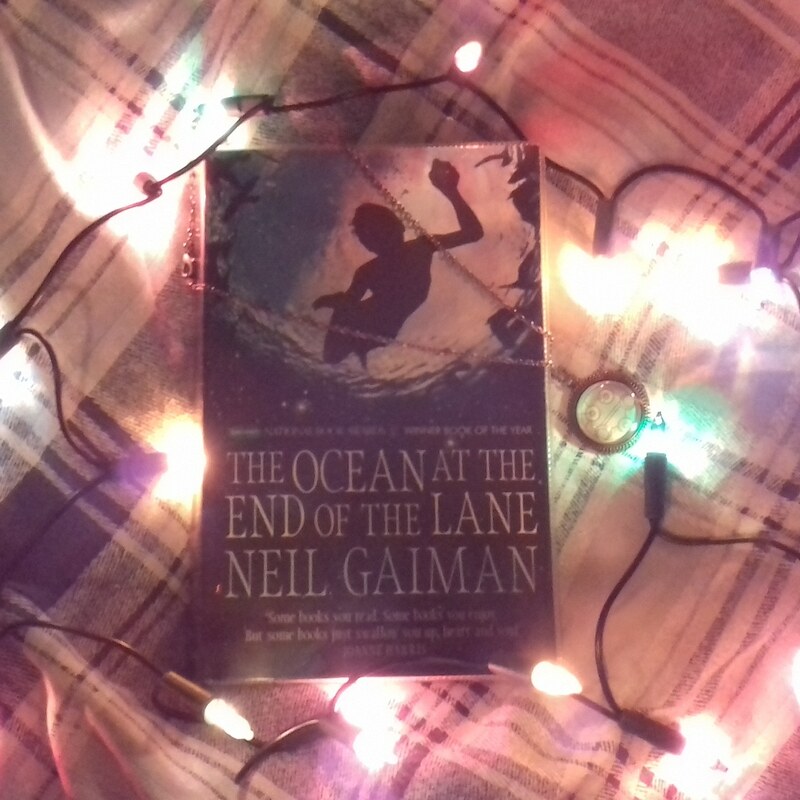 Have you already read The Ocean at the End of the Lane? What did you think?